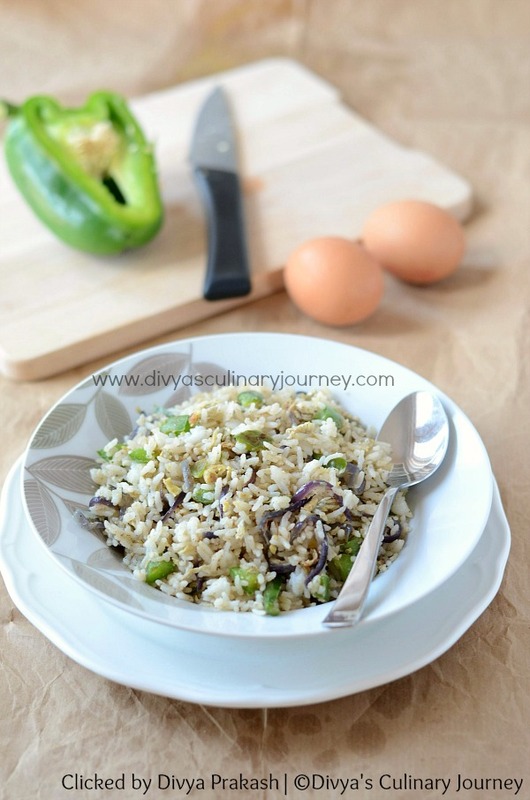 This is a easy recipe for tasty egg fried rice that can be prepared in few minutes. Heat oil in a pan. Then add onions and green chilli and fry till the onions turn translucent. Then add diced capsicum and ginger and cook for another 1-2 minutes. Then break and add the egg to this and scramble it. Add salt and mix well. Now add the cooked rice, pepper powder and mix such that they are well combined. Keep mixing till the rice gets warm, to avoid burning the rice. Then turn off the heat. Additionally, you can add a teaspoon of ghee at last, mix well and serve it warm. You can easily double the recipe for 2 persons. Adjust the rice quantity as per the quantity you will eat. You can adjust green chilli and pepper powder as per your heat tolerance level. 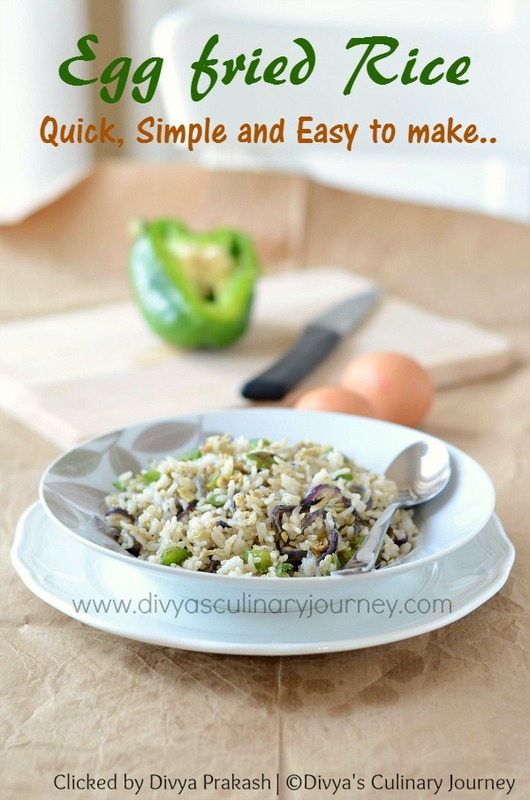 Egg fried rice always handy on the busy days, and your recipe is the easiest of all!! Tempting me to try now! !